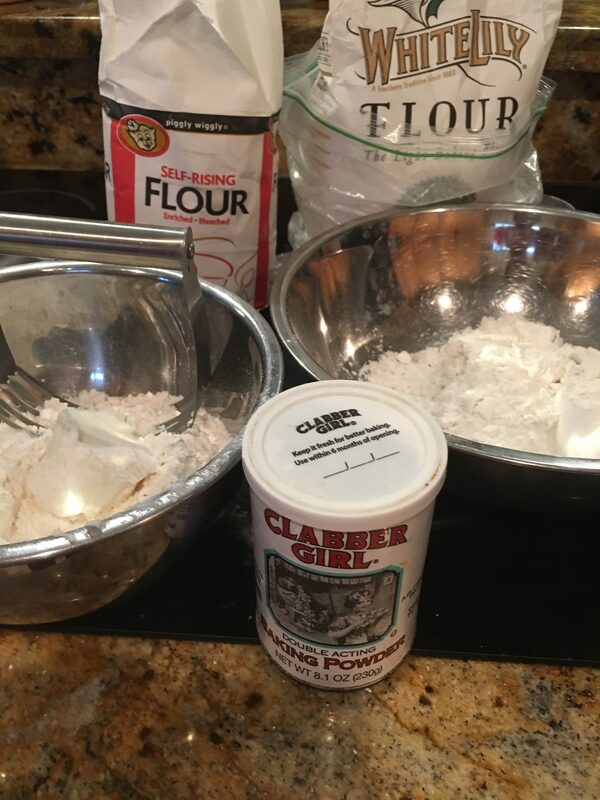 While most folks put dropping pounds or learning a new language as their New Year’s Resolutions, at the top of my list is to make a better biscuit. I mean really; how can one call yourself a Southern gal and not make a decent biscuit? I’m stepping forward and pleading guilty to that one. My biscuits are usually of good flavor but rather dense and heavy for my liking (& also Big Sugar’s when pressed to give honest feedback). So on the first day of the new year I put everyone in the house to work. Belly up to the bar, grab a biscuit and let the ratings begin. 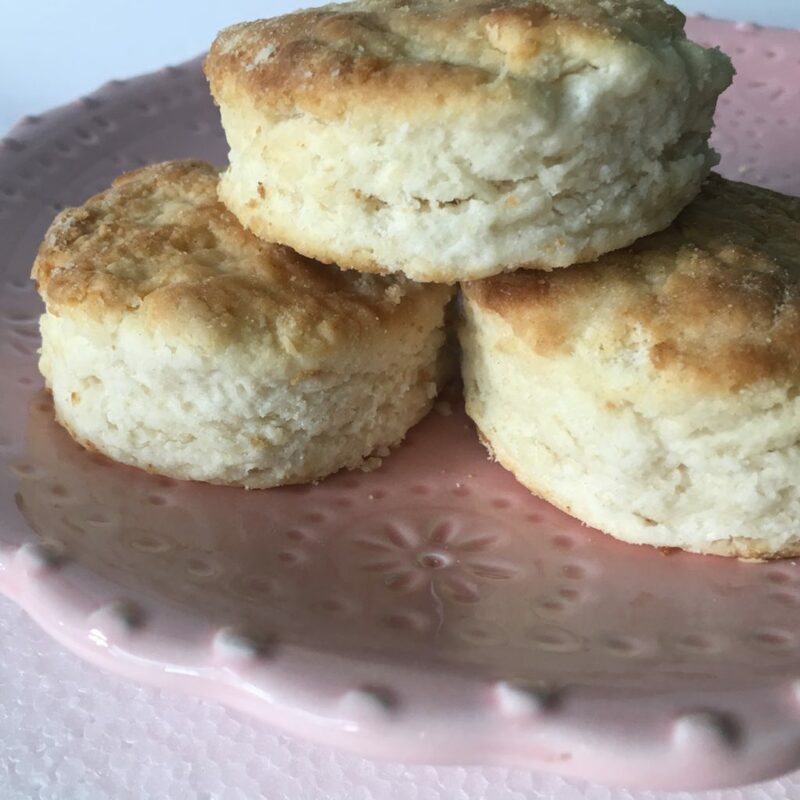 Three different biscuit recipes were used; an old recipe I had claiming to be just like Bojangles, the second from the back of the White Lily Flour bag and the last, a back-of-the-can traditional baking powder biscuit. Two of the recipes used self-rising flour and the other all-purpose For the fat, good old-fashioned lard and the other two good ol’ Crisco. Each recipe also called for a different baking temp though all were baked at pretty high heat. Each was brushed with melted butter as they came out of the oven. And so the judging began. Well, let me back up, the judges had to be slowed down a bit so that the nibbling didn’t commence willy-nilly. The biscuits were kept separated on their baking sheets (all baked on parchment). And of course, we had mounds of softened butter and Hawaiian Honey but the initial bite had to be of a naked biscuit. We’re running a tight ship here. Angela took the role as scribe. She also directed the boys which biscuit to each first. I gotta tell ya, it was hard not to tell them which was which. But I wanted to let them taste & judge in the blind. 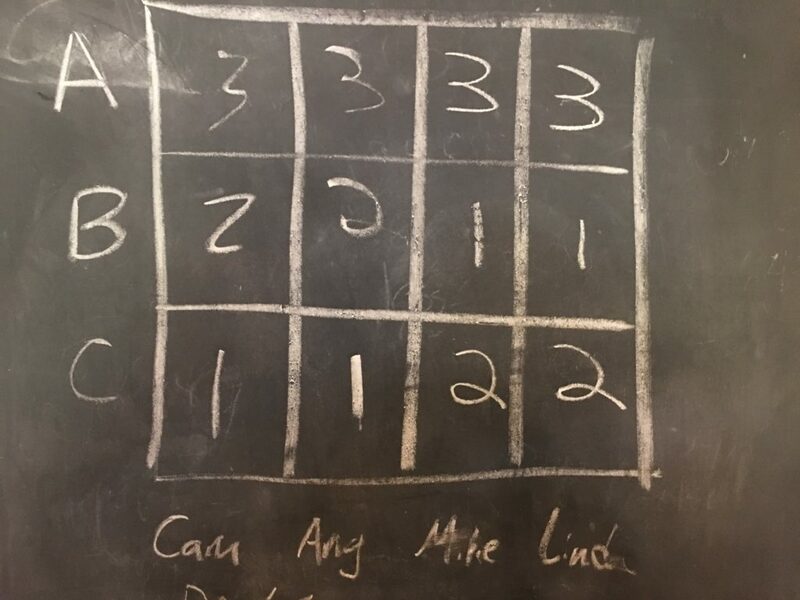 We all designated our number one choice for the best biscuit and then which ones came in second and third place. 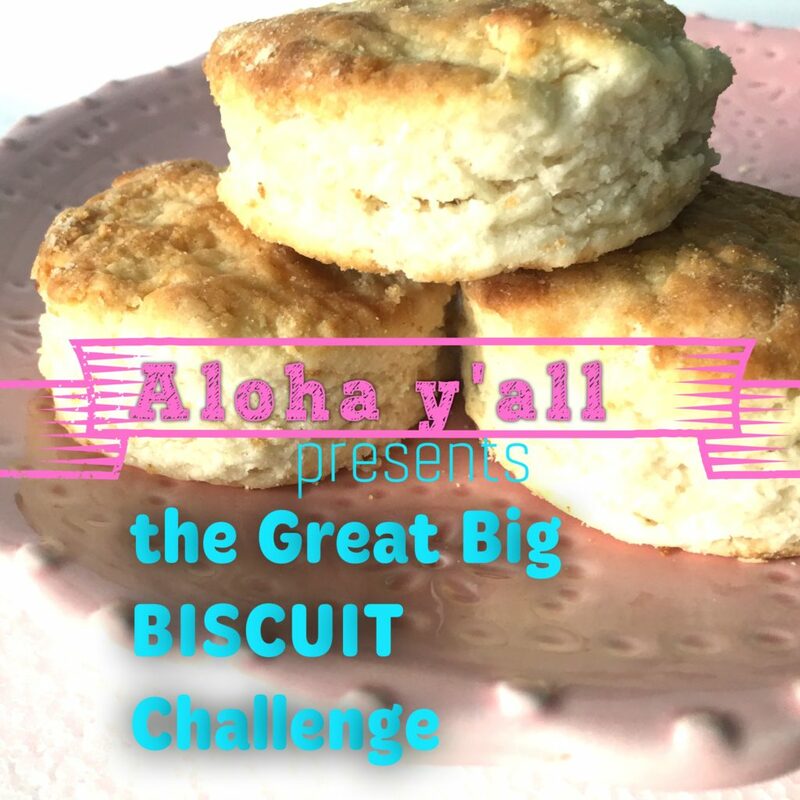 The Soft Southern flour and the Baking Powder Biscuits tied for first place with the copy-cat Bojangles (Biscuit A) judged by all to be the least favorite of the bunch. What’s to be learned from this? 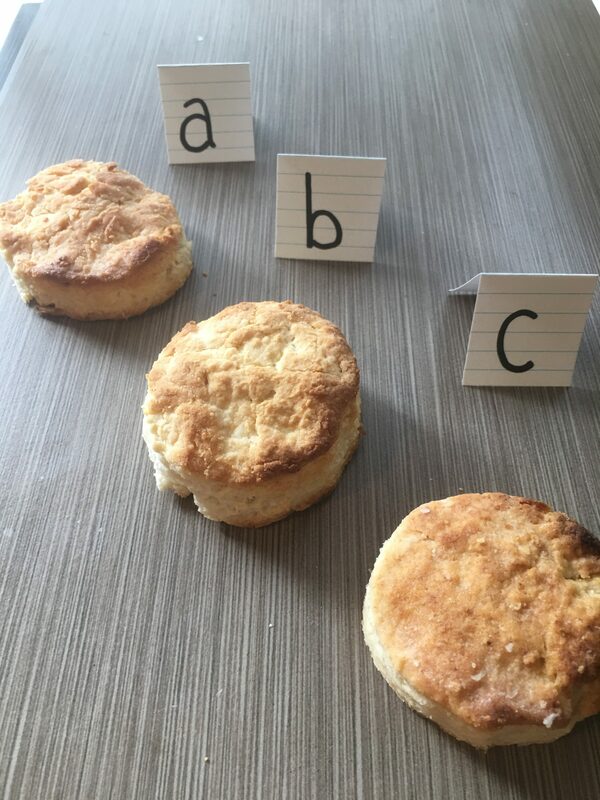 Biscuit tasting Contests are a great way to start your day (& year)! And I learned cold Crisco and a high oven temp produce the lightest flakiest biscuit. Now I can get started on the other things on my resolution list. And I better put the biscuit baking on hold to get to the other resolutions especially the one involving less calories. C’est Bon!